24/7 locksmith services Hollywood FL and its nearest locations: 33021, 33020, 33024, 33026, 33312, 33314, 33315, 33004, 33009. Locked out? Pay only a $49 FLAT RATE to open locks (no hidden/additional charges 8am-6pm). We install locks, cylinders and rekey locks. Are you moving? We can install locks for your new home and rekey those new locks at NO additional charge. Are your locks in good shape and you also have the right keys for them? We can rekey them for you at a low price without having to change the lock itself! Half Price Locksmith is a licensed locksmith company in Hollywood, FL. Our licensed and expert locksmiths can arrive at any location in Hollywood City within 15-30 minutes of calling us for lockout assistance. 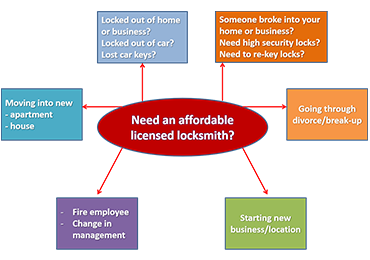 Without a doubt, when it comes to any residential, commercial and auto lockout requirement, Half Price Locksmith is your number one choice in Hollywood, FL. Half Price Locksmith in Hollywood, FL provides fast, affordable and reliable service for all your locksmith needs - residential, commercial and automotive. Our locksmiths are licensed, experienced, and professional who can fulfill all your security needs. 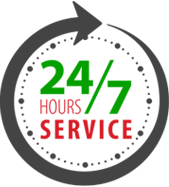 We are committed to meeting our customers’ needs by offering 24 hr lockout solutions at fixed prices and with competitive customer service! We understand that whatever may be the time of the day or night, your time and most importantly, your safety is the #1 priority. With 24hr Emergency Lockout Services, you can always call us for assistance. Our experts just need 15 to 25 minutes to reach you and help you open your home or car. We provide cheap locksmith services to Hollywood FL, Hallandale, Dania, Fort Lauderdale, Davie, Cooper City, Pembroke Pines. Call us at 754-888-9470 for 24/7 emergency locksmith services. We provide FREE quotes over the phone as we don’t keep any surprises or hidden charges. We offer volume discounts too. So the next time you need a locksmith, remember us and call us for free quote. Half Price Locksmith in Hollywood FL is a family owned business. We started the company in 1996. 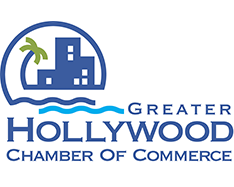 We are licensed and insured and a member of American Locksmith Association (ALOA) and Hollywood Chamber of Commerce. We are a small business and we do not outsource our locksmith work. We send over our own employees so you know who to expect when you open your door. We charge affordable prices and always quote a full price in advance over the phone so there are no surprises. 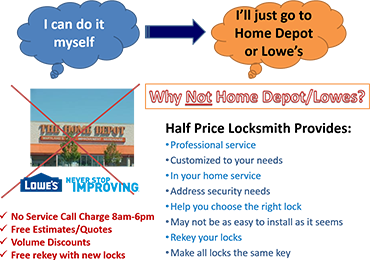 We do not participate in the $15 or $19 bait & switch games our competitors play. We charge $49 FLAT to come over and open your car or door if you're locked out (8am-6pm).